Last weekend I had a great opportunity to join fellow photographers in Pennsylvania for a private shoot in the Fonthill Mercer Museum...I stayed in a B&B which was the former home of Oscar Hammerstein II; Highland Farms. I had planned on returning there to do some shooting before going home, but instead decided to head on home through the Pennsylvania Amish country. I just love the land and the farms in this area of Pennsylvania. I am always reminded of the work of Andrew Wyeth when passing through as the winter palette here is much like the palette he worked with in his paintings. The afternoon light was soft and the sky was white. As I rambled through the back roads I saw a sign that said Tobacco Road...well you know I just had to turn around and ride down Tobacco Road! As I drove slowly imagining the lifestyle of the people who farmed this land and lived here I saw a barn on a ridge that made me stop! I made several compositions but the one above is the one I loved when I down loaded my images. I used several Flypaper Textures in Photoshop, with different blend modes, layers and masks to get to the final image here and add interest to the sky. 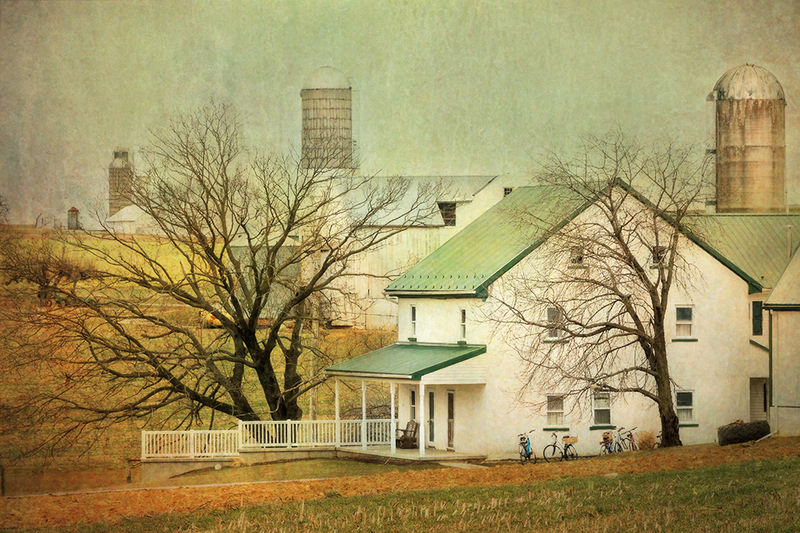 When I finished making a few shots of the barn, I turned and looked around only to see the shot below.....I loved the bicycles, rocker on the porch, trees, grain towers...well everything! It is such a different way of life. The shot below was made in Fonthill, and I used Flypaper Textures to add tones and texture. 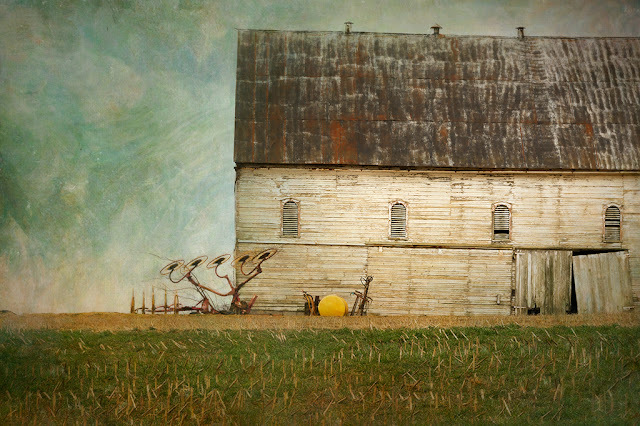 It also echos the Pennsylvania I have in mind from seeing Andrew Wyeth's work. While I loved shooting in the Mercer Museum, some of my favorite shots from the day were these...Serendipitous discoveries on a back roads ramble! 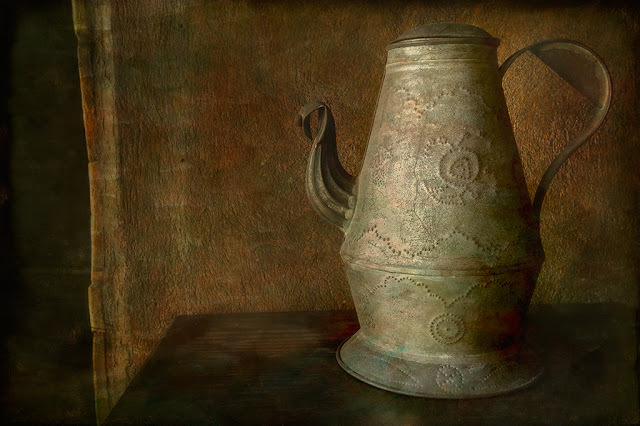 If you would like to try Flypaper textures use my discount code on the side bar of the blog when you buy for savings! These textutes were from their August Painterly pack.